I first met Gabe Aderhold this past spring during GLBT lobby day at the Capital and was so impressed with Gabe and his fellow Edina High School students as the pleaded with Keith Downey for compassion and understanding of the fact that they were gay and wanted equal rights, and limiting marriage to only a man and a woman is discrimination to the GLBT community. 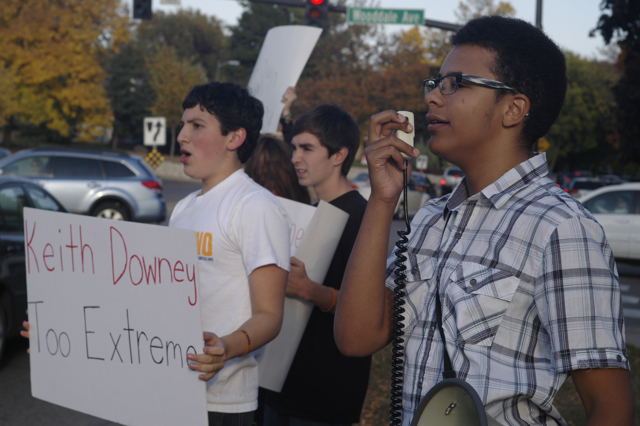 Gabe’s good friend Issac Rothberg was a co organizer of this protest event that took place at Wooddale Park in Edina where they had over 2 dozens current and former Edina students rallying against Keith Downey during the evening rush hour. 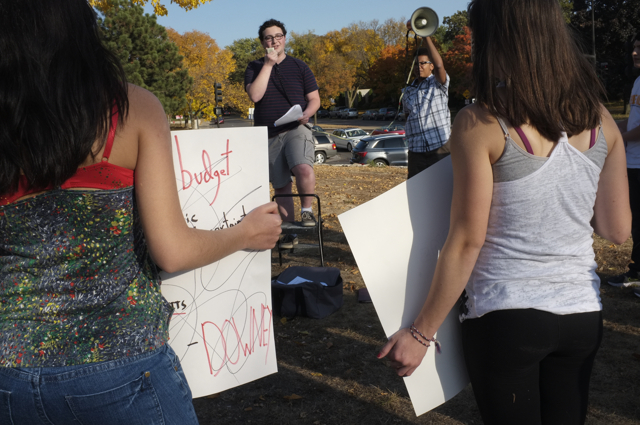 These two young men and their politically active friends give me such hope for the future. They are leaders and their passionate energy is a beautiful thing to see. You know you’ve had a successful rally when the police show. 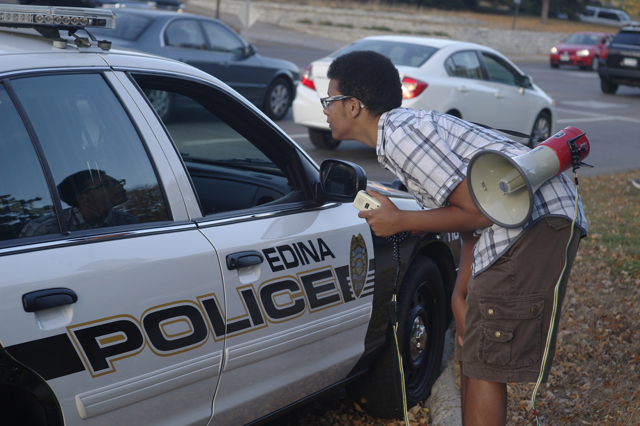 They were “busting” Gabe for his amplified megahorn, but of course Gabe was prepared with his permit that he had retained as a part of the planning. Good job!! You can see a clip of the rally here.